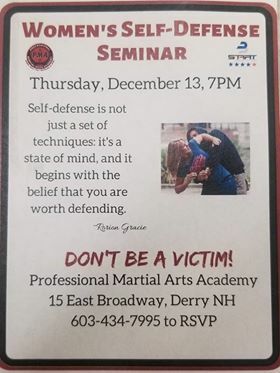 Self-defense is not just a set of techniques: it's a state of mind and it begins with the belief that you are worth defending. R.S.V.P. to (603) 434-7995.